On your Tripawd Journey, it’s so important to have something tangible to reflect on the good times together with your pup. We have made various Blurb books, including Tripawd Heroes and the 2013 Now weekly planner. Blurb makes it easy to create custom photo books for just about every occasion, whether it be a wedding book, a birthday album, a cookbook, all of your family trip pictures, or those special times together with your furry friend. Save 25% with Blurb Coupon Code FLASH25OFF through February 25, 2013. 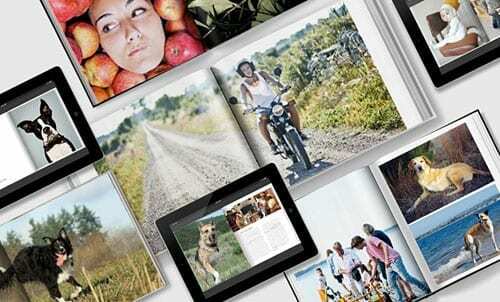 Photos from you Facebook albums or even your Instagram account can be converted into a Blurb book! If you have ever thought about making a custom photo memory book, now is the time. Act now for big savings! 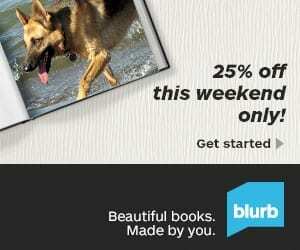 Blurb is currently offering 25% off purchases from Friday, Feb. 22 through Monday, Feb 25. Head over to Blurb now, tap into your creative side, and save! See how it simple to use Blurb Booksmart to create your book, or import favorite photos from your Facebook account. Miss the sale? See current Blurb promotions here! Save $10 Off All Tripawds Books!